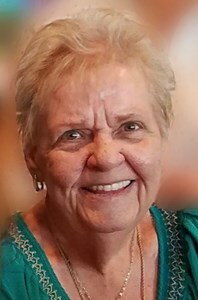 Glenda R. Brittain, age 74, of Winter Park, FL passed away on Wednesday, April 10th, 2019 in Knoxville, TN. Born July 5, 1944 in Jacksonville, FL to the late Raymond and Winnie Ramsey. She grew up in Orlando and graduated from Edgewater High School in 1962. In 1963 she married the love of her life, Homer "Danny" Brittain. They enjoyed 42 years together before his death in 2005. Glenda loved working with children. She used her creative talents as a Sunday School teacher at Dover Shores Baptist Church for many years, and later at Orange County Public Schools, where she was an executive secretary for Wymore and Sunrise Elementary. She was a mentor to students and a friend to all who worked with her. After her retirement from OCPS in 2004, she enjoyed spending time with family, especially her grandchildren, friends, and her beloved dog, Sunshine. Survivors include her son, Neil Brittain (Tricia); three grandchildren, Jessica, Katelyn, and Daniel; and sister, Robin (Wayne) Roberts. A memorial service will be held at the Newcomer Funeral Home - East Orlando Chapel, 895 S. Goldenrod Road, Orlando, FL 32822 on Thursday, April 18, 2019 at 10 a.m. with the Reverend Octavius L. Smith officiating. Visitation with the family will be on Thursday preceding the service from 9:30 am to 10:00 am. Interment will follow at Woodlawn Memorial Park, Gotha, FL. To share your memories of Glenda or leave a special condolence message for her family, please click the Share Memories button above. Add your memories to the guest book of Glenda Brittain.